Today’s guest post on the blog comes from Veronica who blogs at My Parenting Journey. Today she shares with us her top tips for dealing with the challenges of travelling with a toddler. Travelling with a toddler doesn’t always feel like a holiday, especially if you aren’t properly prepared to deal with their antics. Toddlers are active and break down often from over-stimulation and stressful situations. If you want to avoid your child screaming hysterical and making everyone miserable, think about the challenges of travelling with a toddler and how to deal with them ahead of time. Flying with a toddler feels overwhelming because you are stuck in a confined space with dozens of strangers. No parent wants to be the parents of the child that cries non-stop. It is a nightmare for everyone. Instead, try some of these tips to keep your child happen. Use a Baby Carrier: Toddlers benefit from babywearing as much as an infant. You can keep them close, and it gives them a way to reduce stimulation. Babywearing also gives your child a place to nap comfortably. Bring Entertainment: Entertainment is crucial for happy flying. A tablet with games and movies is a great choice. Books, dolls, puzzles and more can keep a toddler happy. You can use the flip down tray in front of the seat to give your child snacks, colouring books, and their favourite items. Pick Your Seats Ahead: Some airlines allow you to reserve seats, even though they aren’t guaranteed until you check-in at the airport. A car seat must be installed in a seat next to a window. Always arrive early, so you get the prime choice. Front-row seats are reserved, typically, for babies with bassinets, so your choices are limited. Some airlines still allow parents to board ahead of time, but then your child has to sit an extra 30 minutes longer. You might want to sit towards the back, making it easier to access the bathrooms to change your toddler’s diaper. Bring a Car Seat: It is much safer for your toddler to travel in a car seat. Unrestrained children can be injured during turbulence. Your child is used to travelling in their car seat, and it makes it much more comfortable for everyone. Consider Booking During Naps: If your child has a set nap-time, consider booking your flight time during their nap. Your child will naturally be sleepy during this time, so the chances are good that they will relax and fall asleep. Another choice is to fly at night on a red-eye, so long as you don’t have any layovers. You can baby-wear throughout the airport and hope your child sleeps a majority of the flight. Ear Pain During Takeoff: When a plane takes off, the change in cabin air pressure can cause ear pain. Swallowing or sucking on a bottle or sippy cup can solve the problem. Have their favorite drink or bottle of formula or breastmilk ready for the first sign of discomfort. Plus, flying can dehydrate your child, so give them plenty of fluids. Taking a road trip with a toddler can be tricky. Your child is accustomed to travelling short distances in their car seat, but hours on end in cramped spaces can be overwhelming for everyone. Toddlers get bored easily and want to move. Car seats make them feel trapped. Luckily, road trips are not impossible with toddlers. Some children do exceptionally well on the road. Their personality often determines how they will behave. Parents should come prepared and anticipate some problems. If you think ahead, you can reduce a lot of the challenges of travelling with a toddler. Travel at Night: One of the best pieces of advice is to travel at night with your toddler. Your child is used to sleeping at night, so the car ride should lull them right to sleep. A rowdy, hyper toddler is more likely to be cranky. If you start your journey close to your child’s regular bedtime, you can expect them to sleep a majority of the journey. Bring Entertainment: Toddlers can’t play I-Spy or read books, so you have to come up with entertainment yourself. If you have a TV for the car, bring along their favourite movies. Bring books or whatever you think your child will enjoy. Consider a new toy just for the car ride! Limit Your Driving Time: Most toddlers can only handle six to eight hours in the car per day. You might have to stop and stay at hotel, then continue your journey the next day. However, you should make stops during those six to eight hours as well. Plant to stop at least every two hours. Your toddler can stretch their legs and grab a snack. Travelling with a toddler can seem overwhelming, but there are many ways to deal with their challenges. Most of the challenges can be fixed with some planning, a lot of snacks and entertainment choices. Remember your toddler needs to stretch their legs often. Expect a few breakdowns and bring their favourite comfort items. You all will make it through the journey! Thanks to Veronica for sharing her top tips for travelling with a toddler, either by plane or by car. As many of you know we travel extensively with BattleKid, both by car and by plane and these tips just reinforce the tips we recommend, especially for flying with babies and toddlers. Veronica Mitchell is a mother to two adorable little girls and a handsome little boy. She spends her days caring for her children, packing lunches, reading aloud, kissing boo-boos, and working as the Chief Editor of MyParentingJourney. There’s definitely some great tips here. I swear by packing lots of snacks – food keeps me and the kids happy ha! These are great tips – bringing entertainment….and plenty of it…is key to survival! I am so pleased we are out of the toddler phase now….eek! Great advice! We’ve always travelled with our girls and my big tip, is to not let children stop you. It will be ok! I love the idea about doing road trips at night. My toddler always has issues sleeping when it is light outside so even just having some darkness helps get him settled enough to remain calm while on the road. Travelling with a toddler certainly comes with challenges. These are great tips. Happy child = happy parents = happy child again lol. Limiting driving time is certainly a big must! Speaking from experience…sadly. I’ve not travelled abroad with a toddler before, but these are great tips for people who are planning on. 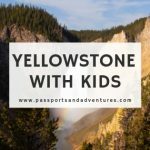 We prebooked our seats with our kids last year and I was so glad we did. Oh what a great tip to travel at night!! I never thought of that, not sure my husband will be as keen! There are only certain car seats you can bring onboard but I’ve actually seen one in use! That baby was so well behaved and it was an 11 hour flight! We have travelled a couple of times with the twins and it is so tricky to get a stress free trip. Having snacks and entertainment is a must for every trip, either by air or road. These are great tips. I will admit, this is one aspect I don’t miss now my children are older! Some useful tips. I always think the key is being prepared with snacks, planned stops and entertainment. We’re planning our first trip on a plane with two soon. It was hard enough when we just had one so I’m not looking forward to it! Thanks for these awesome tips. We usually travel at night so that my kids get enough sleep and don’t get tired in the journey. Your flight tips are really very helpful as we are planning a trip and it will be useful to me. Keep sharing such posts.